Want to earn money while contributing to a cleaner environment and supporting a local economy ? We give you the solutions you need to succeed. 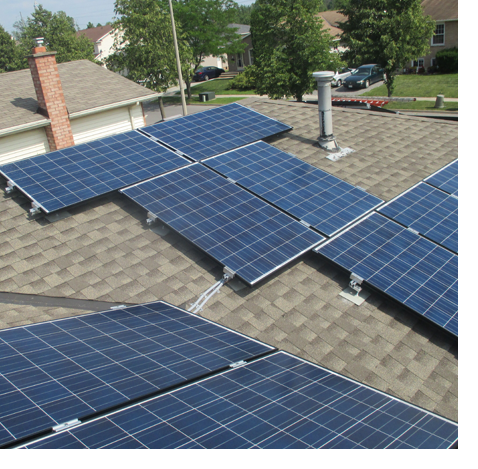 We are a 100% Canadian owned and operated turnkey Solar Power System provider based in Toronto, with over six years experience across Ontario and hundreds of loyal clients recommending our service. The expertise we have acquired during that time, along with the strong relationships we have built with manufacturers and partners, makes it no surprise that the majority of our business comes through word of mouth from satisfied customers. We are passionate about renewable energy. We were borne out of a genuine desire to change the world – not just make a quick profit. We believe that renewable energy and energy efficiency have a big role to play in helping Ontario to reduce its dependency on fossil fuels and its impact on the environment. We are keen to see a world that is fit for future generations to inhabit, and we are actively doing our bit to help make it so. All our work comes with a warranty ; we have the experience and skills your project needs.